Here’s a b side from a shoot Steph and I did for Gio a few weeks ago and this was something we tried along the way to the final image. 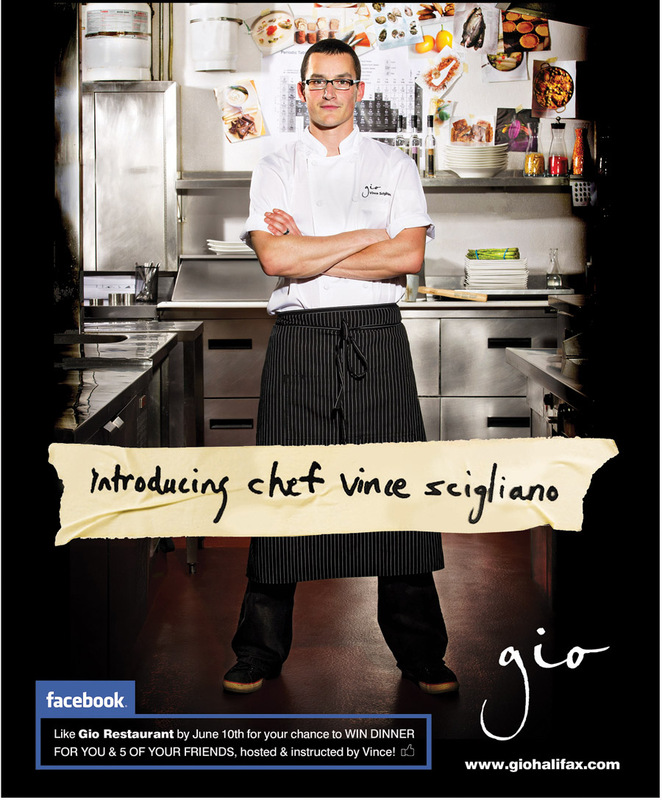 The Gio page on facebook has a chance to win dinner for 6 hosted by Vince and if someone wins it I just ask you take Marse and I with you. Please. We had dinner there one night and we both slipped into the most wonderful food coma in the back seat of the cab on the way home. For three days we talked about the boar. Vince is not just some guy who makes fancy food on white plates. He’s an artist and his passion for what he does is something to be admired.